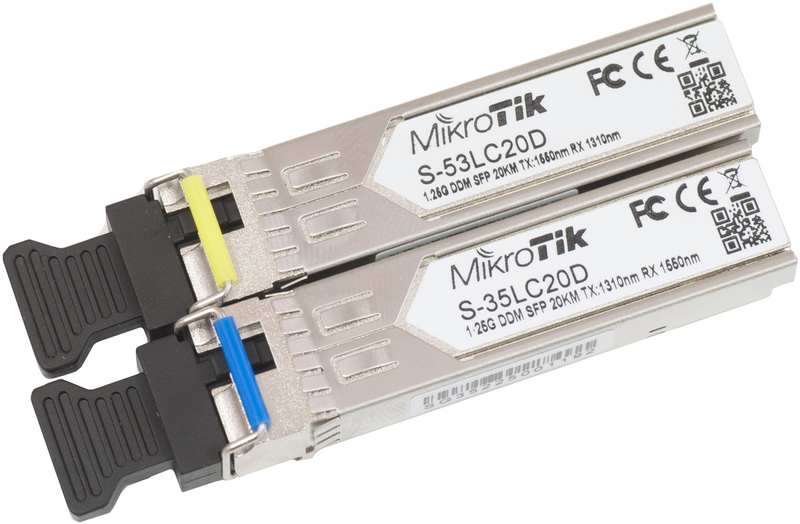 The 6C-WDM-SM-BIDI is a pair of SFP transceivers. The 6C-WDM-0220AID is a 1.25G Single Mode optical SFP module with an LC connector, T1310nm/R1550nm, which works for connections up to 20km and supports DDM. The 6C-WDM-0220BID is a 1.25G Single Mode optical SFP transeiver with an LC connector,T1550nm/R1310nm, which works for connections up to 20km and supports DDM.